But things don't stay quiet for long. Percy soon discovers there is trouble at Camp Half-Blood: the magical borders which protect Half-Blood Hill have been poisoned by a mysterious enemy, and the only safe haven for demigods is on the verge of being overrun by mythological monsters. 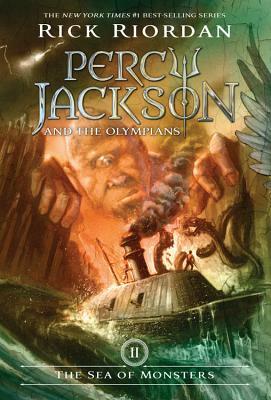 To save the camp, Percy needs the help of his best friend, Grover, who has been taken prisoner by the Cyclops Polyphemus on an island somewhere in the Sea of Monsters, the dangerous waters Greek heroes have sailed for millennia-only today, the Sea of Monsters goes by a new name?the Bermuda Triangle.